Ever wanted to buy your personal Terminator? The future is getting closer: Skynet Research opened its official website offering several models of robots. Neither Terminator nor T-1000 are available yet, so keep checking the website. PS. 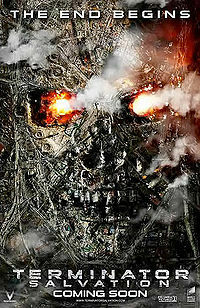 If you didn’t get it yet the website is a promo for the Terminator 4 movie, not a real Skynet. But don’t relax, under a different brand and for different purposes somewhere someone is preparing our robotic future.